Today's emergency meeting of the House of Commons justice committee was supposed to be about hearing from key witnesses in the SNC-Lavalin scandal, but ended without a decision on that matter — or signs of significant progress. The Conservatives, backed by the NDP, asked for a number of officials from the Prime Minister's Office and former attorney general Jody Wilson-Raybould to appear before the committee. The committee met to discuss that request today, but a competing Liberal motion was introduced that limited the scope of the witness list and excluded Wilson-Raybould and PMO officials. Conservative MP Michael Cooper told CBC's The House that it was a "disappointing day" and said the "watered down" Liberal motion was unhelpful. In the end, attempts to amend that motion failed and the Liberal majority on the committee passed the motion unchanged. Anthony Housefather, the Liberal MP who chairs the committee, defended the actions of his fellow caucus members, saying the witness list may be expanded in the future. When pushed further about Wilson-Raybould being omitted from the Liberal list, he said the issue of solicitor-client privilege in the matter is still at play. That answer didn't satisfy NDP MP Nathan Cullen. He told host Chris Hall that it's troubling that the few people who likely know what's going on with the SNC-Lavalin affair aren't on the Liberals' proposed witness list. ​In the end, the original motion from the opposition parties was never discussed. Now, another meeting has been arranged for Tuesday, at which point committee members have the option of expanding the witness list. 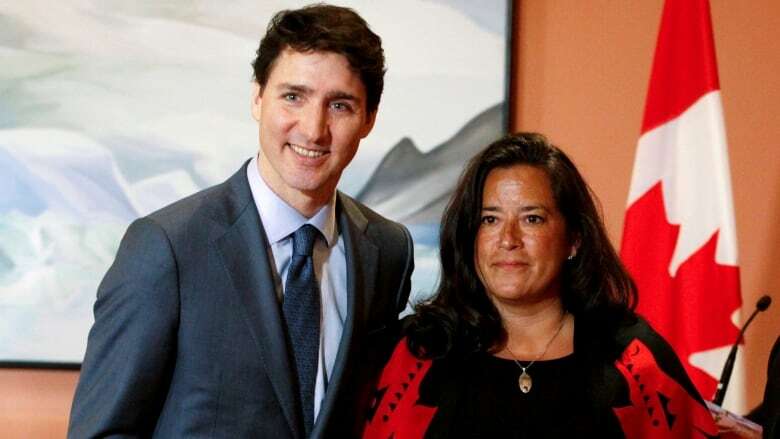 The PMO has been accused of pressuring Wilson-Raybould to interfere in the prosecution of the Quebec construction giant SNC-Lavalin. She resigned from cabinet this week and has yet to speak on the matter.